For the past two years, I’ve lived in a persistent state of saying goodbye. It’s a strange space to exist within. So, to kick off my last week in Austin, I had the best soundtrack to this final countdown, where everywhere I go I say to myself, “this will be the last time I _____”. For the final time, I left my apartment as everyone else was coming home, and walked the oddly quiet path across downtown Austin to the Red River corridor. I will miss the ability to walk to shows…the relative ease of Austin…but oddly enough, I never got to know the door guy at any venue here, while the valet on the Sunset Strip still remembers my name. I was happy that the show was indoors, not only to somewhat protect us from the 100 degree heat, but to also mellow the ambiance for the doom and black metal that would soon grace the stage. Heat and black metal are not a good combination. 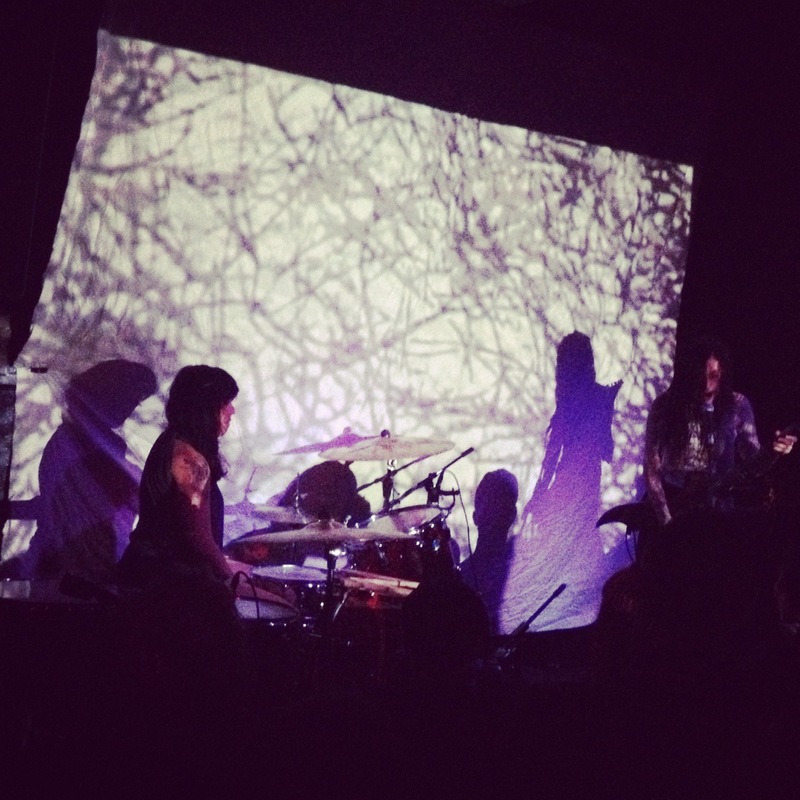 With a white sheet behind them showing a projection of the hauntingly beautiful Paradjanov art film “The Colour of Pomegranates“, two piece TAURUS began to play. TAURUS features Stevie Floyd on vocals/guitar, who I know and love from Dark Castle. The performance was doom in it’s most basic sense: extremely minimalist in structure. It was often hard for me to piece together a song out of the drawn out chords, vocals, and drum beats. Between tracks, soundbites from the film filled in the space. This is an artistic method that I like recorded, but find hard to digest live. At the end of the set, I was left with the feeling that TAURUS was not the best type of band to experience live. 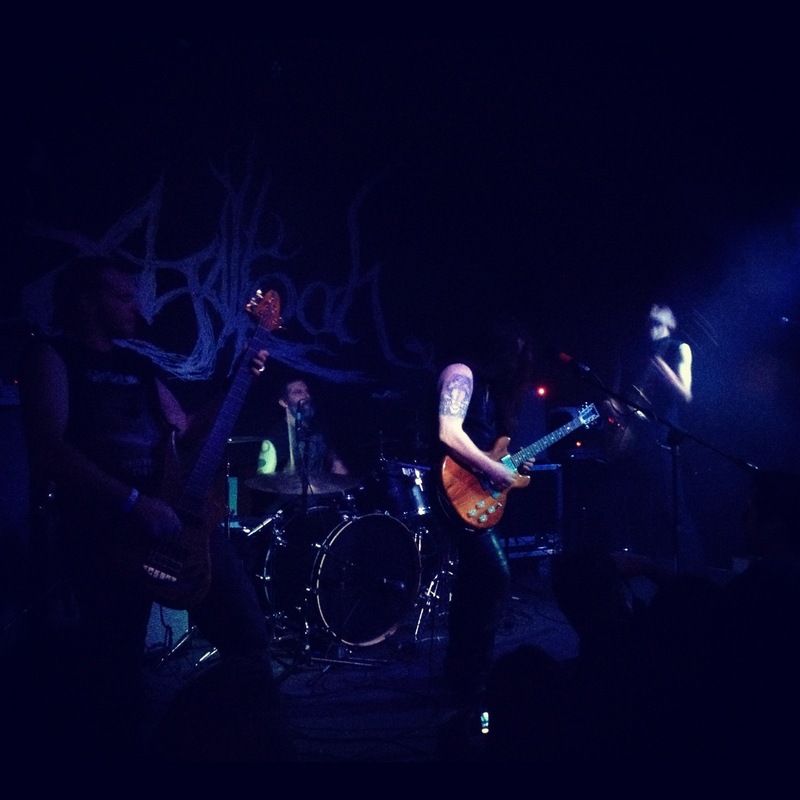 The only other time I’d seen Agalloch was at SXSW 2011. The first thing they mentioned was that they were glad to be back in Austin and NOT be playing SXSW. As they began to play, the journey that they swiftly place you on is first one of admiration for their skill of ambiance. The instrumentation, composition, and delivery are enough to leave a casual fan impressed. The mood of their set was only shortly broken by noticing what I’d assume was one of their parents proudly snapping photos from the side of the stage, or the guy who I came to call “Black Metal Bling”, enthusiastically providing an interpretive dance to the music in light corpse paint and a very sparkly studded belt. Beyond that, Agalloch forces you into an internal journey, willing or not. This is the most evolved form of Black Metal that exists: it has been cleansed of it’s murkiness, it’s anger has become desolation. There are times when Agalloch make me too self aware, something that original Black Metal never did due to it’s focus on the visceral. But that’s not necessarily a bad thing. I’ll have to credit this show for taking me back to something that I always focused on when I first starting writing: my gut reaction of how a band made me feel. Because, it’s not about who else is there, what past experiences with seeing them play are, what other bands the members are in or what new album they have just released. It’s about what kind of place that particular set transports you to. And with this Agalloch set, I was taken to a slow motion, black and white montage of everything that’s ending with no hint of the future. 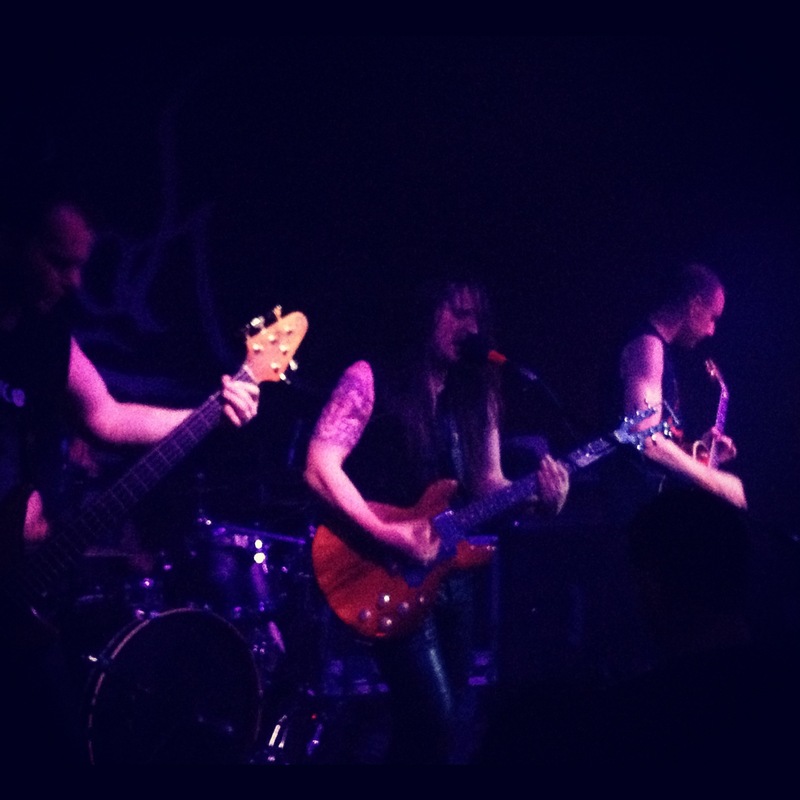 Agalloch have an average song length of about 8 minutes, which becomes somewhat disorienting in a live setting, especially at 1am on a Sunday night. The band members are faceless; not playing to the traditional Black Metal aesthetic, the only thing I would remember about them is the bassist’s Satyricon shirt because I am DYING for them to go back on tour. The crowd around me is bleary-eyed, a sea of people going through their own forced internal procession. The only thing I can hear besides the music is the slurred shout of a drunken guy calling the band’s name somewhere in the distance. The only notable blip in the set was a broken string during the high point of “Ghosts of the Midwinter Fires” I think, which took him out mid solo to restring the thing. Otherwise, I found myself completely lost in the set. Walking back home, I thought about the six months worth of memories that have occurred along that path. I think that one day I will look back at this period of my life fondly. I can’t wait to see them here on Friday. Every time I read one of your reviews, it serves to further enlighten my understanding of ‘Metal’, and add to my knowledge of different bands! Keep up your excellent evaluations, as long as you continue writing, I’ll keep reading!